Few things in this word, compare to the amazingness of Chipotle. When it comes to fast-casual Mexican Fare, Chipotle simply reigns supreme. Before we had a Chipotle in Naples, we only had Moe’s – blah. And never in Naples have we have a Qdoba. I did get to try Qdoba a few years back – courtesy of Delta Airlines after our flight was delayed for 500 hours, and thought nothing of it. A few weeks ago, while up at USF, we decided to give Qdoba another try. Well, I am here to report it is Simply No Comparison. 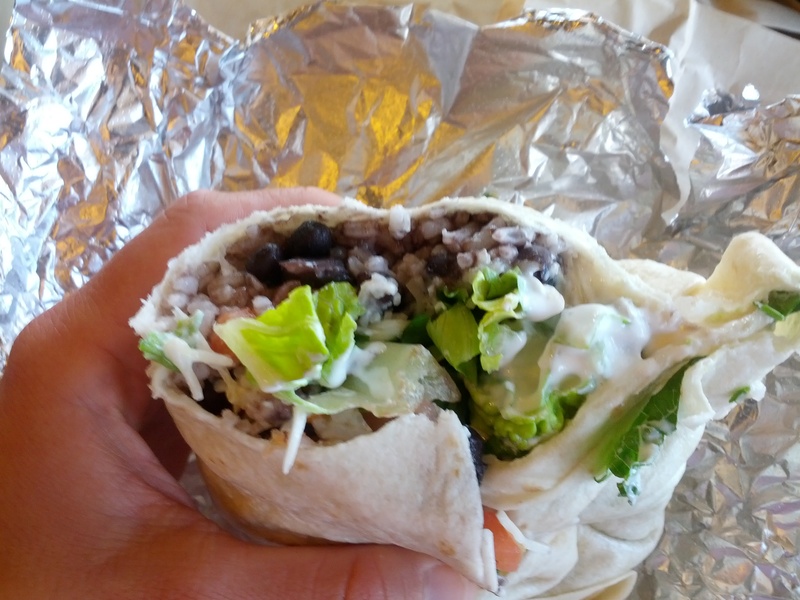 I knew my order would be my regular – a burrito with rice, black beans, salsa, guac, sour cream & cheese. While this burrito did look quite tasty on the outside, once I began to eat it, it lost its appeal. I found the rice & beans to both be flavorless. While the salsa did provide some flavor, it was totally muted out by the oversmashed guac…there is almost nothing worse. The cheese and sour cream were both there, but, really did not play too much of a part. This burrito was indeed large in size but the taste was falling pretty flat. 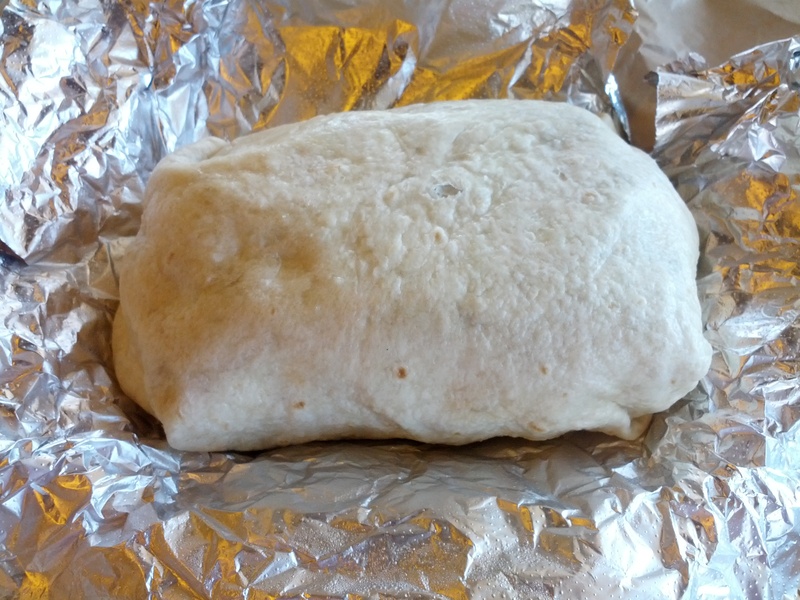 Even though I was not impressed with the burrito, it wasn’t soo bad -like Moe’s – that it couldn’t be eaten. I had no problem finishing the burrito but, couldn’t help but feeling like I was being screwed on flavor. 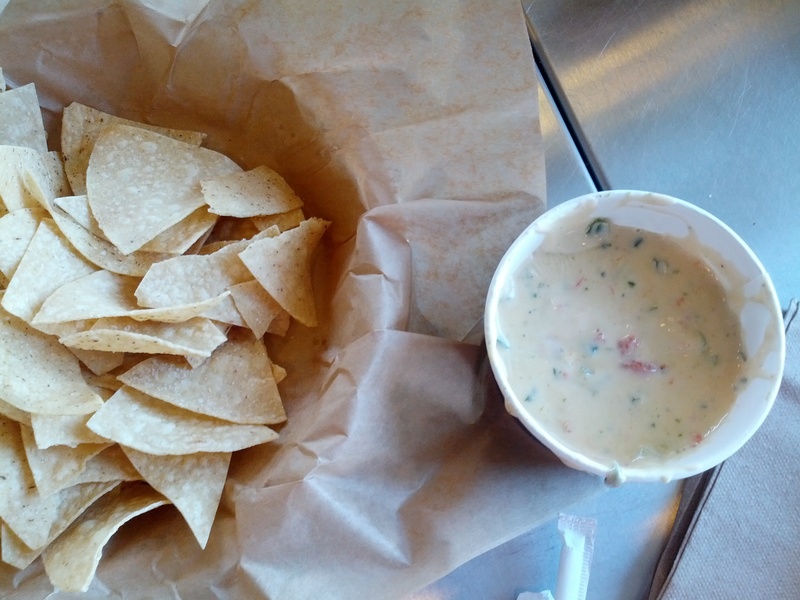 We also got a side order of chips and queso dip. I did enjoy the chips – these were flat & crispy and lightly seasoned. Overall, the chips had a nice crunch and flavor to them. On the other hand, I did not really care for the queso dip. I found it to be far too runny, a little too spicy and a little lacking on the cheese flavor. To me, a good queso dip is thick & creamy – two adjectives I would not use to describe this dip. Beyond the fact that the food was lacking in flavor & creaminess, Qdoba was really really expensive. For the 3 of us to eat at Chipotle, it is usually right around $25. Well, at Qdoba, our meal was $33 and change. For essentially the exact same items, this was a huge price jump. I could understand if there was something special about it but, there really isn’t. I do not foresee myself ever eating at a Qdoba again unless I have no other food options. And even then, there will probably be a 7-11 nearby. Chipotle has some of the best flavors & freshness in their food. Qdoba, with their lacking flavors, overpriced grub & uncreamy queso, is Simply No Comparison. Did you know that McDonalds was a huge stock owner of Chipoltes at one time? Yes, I sure did know that. Chipotle at least has always stayed true to their values and is nothing at all like McDonalds! !